In the wake of George Zimmerman’s acquittal for the shooting of Trayvon Martin, the movie Fruitvale Station has received a great deal of attention. This attention is well deserved, not only because the movie portrays a similar incident—the killing by a transit police office of an unarmed 22-year-old, Oscar Grant III, early on New Year’s Day 2009 in the Fruitvale station in Oakland, California—but also because of the movie’s powerful storytelling. Several months ago, I reviewed the Chilean film No and explored its lessons for writers of fiction. Like No, Fruitvale Station offers important lessons. Most people have never heard of Oscar Grant, or if they have, they think of him as one more African-American victim of a police shooting, a small-time marijuana dealer who had served time in state prison. This is how the mainstream media depicted him, just as the mainstream media depicted Trayvon Martin as, at best, a teenager who wound up in the wrong place at the wrong time. Many media outlets took pains to drag out all of Trayvon’s past misdeeds, such as his suspension from school for smoking pot. Like Oscar Grant, Trayvon Martin was shown by the media as someone about whom the reader or viewer didn’t need to care. 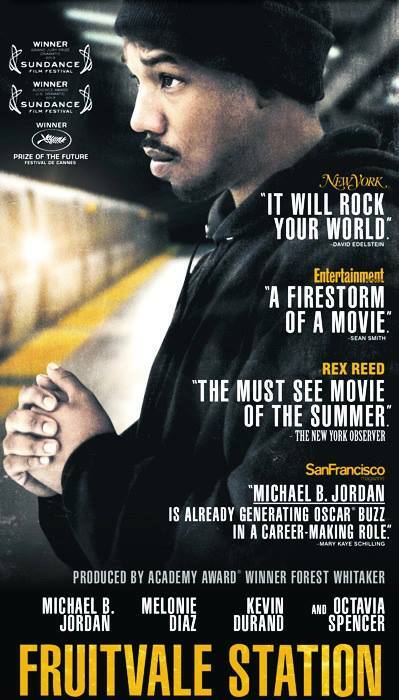 Taking place over the period of a day, the final day of young Oscar Grant’s life, Fruitvale Station goes beyond the media depictions to challenge the way the mainstream media dehumanize young black men. In doing so, the film shows how writers can take a generic character—a character that has not been given the depth and complexity to take on a life outside the page—and make that character human and sympathetic. Fruitvale Station opens at the dawn of New Year’s Eve, as Oscar and his longtime girlfriend, Sophina, are arguing because Sophina caught Oscar with another woman. Oscar promises to become a better partner, father, and provider. We see that his four-year-old daughter, Tatiana, is the center of his life, that he is a good father, and that Tatiana’s intellectual curiosity and optimism come from having parents who love her and take good care of her. Through Oscar’s relationship with Tatiana, we come to like him despite his failings. He is not a too-good-to-be-true hero, but a young man struggling to do right by his family, with some success where it really matters. As the day goes on, the camera follows Oscar in his car running errands. We view his East Bay community through his eyes—the bungalows, parks, vacant lots, billboards, shopping centers, stray animals (a powerful scene with Oscar and a friendly Boxer foreshadows Oscar’s fate) and coastline. Director Ryan Coogler invites us inside Oscar’s head, to see his world as he saw it. It takes a good director and actor—and credit should be given here to the talented Michael B. Jordan—just as it takes skill as a writer to get inside the head of a character who is not the writer. However, it needs to be done if we want readers to go beyond the stereotypes and assumptions that serve to keep people who are not “like us” at arm’s length. Using Oscar’s actual text messages to his friends and family is another way the filmmaker builds sympathy for this young man. While scenes of Oscar driving through the East Bay invite viewers into his world, the text messages highlight what Oscar had in common with young viewers irrespective of race, class, culture, and geography. For instance, Oscar’s slang-filled texts were similar to texts my own son sends to his friends, planning to get together and chasing down someone who’s late. (My son, like Oscar, is usually the tardy one.) The text messages show us that Oscar had friends and a family that loved him, he was a good friend, and he wanted to be a good son as well as a good partner and father. By the time of the fateful encounter on the Fruitvale platform, Oscar has become our friend—someone who has things in common with the viewer but is interesting in his different experiences and perceptions, someone who isn’t perfect but is complex and multi-layered and wanting very much to become a better person. That central desire to do something good is one of the main ways we as readers cheer for our main characters no matter how often they fail—as long as they get up and try again. Oscar never stopped trying, not even as he begged the police officer to spare his life, telling the police officer that he had a four-year-old daughter at home whom he loved and who needed him. In the end, we need to keep in mind our purpose for writing. Most people who read writing advice blogs want to produce a novel that sells to a publisher, gets favorable reviews, and becomes popular among readers. Fruitvale Station reminds us that writing well is important for reasons that go beyond a single book and a single career. When we fail to portray someone as human, we invite stereotyping, discrimination, and even violence against people who are different from us. Careless, one-dimensional characterizations abound in the mainstream media. We need to do better than that. There are many types of writing–humor, fantasy, historical, and more. But I agree, it is important to always search for the human truth in whatever we write. For the quick intake of breath where the reader recognizes something true in the world we all live in. Thank you for commenting, Sandra! Writers of fantasy and historical fiction face this challenge constantly because the worlds are so different from our everyday experience. I love reading historical fiction, and having written in this genre, I know how hard it is to write it well (and to sell to a publisher). I heard about this movie and heard the lead actor is outstanding. Thanks, Lyn, for this post. I love this: “When we fail to portray someone as human, we invite stereotyping, discrimination, and even violence against people who are different from us. Careless, one-dimensional characterizations abound in the mainstream media.” So true! I hope Fruitvale Station comes to your area soon, Linda. The theater where I saw it in New York City was packed so it will probably have wider distribution. 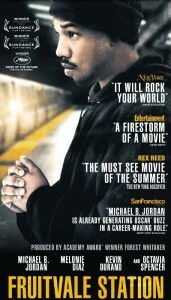 Michael B. Jordan is outstanding in the role of Oscar Grant, and the other actors do a great job too. 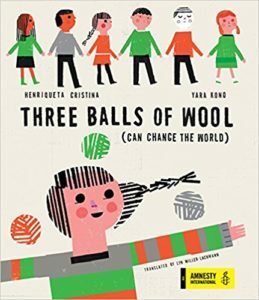 I’ll say that the decision to make a dramatization rather than a documentary was interesting. This allowed the director to focus on Oscar the good guy. A documentary would have required facts from the trial, a better perspective of the train disturbance and probably fewer Oprah references. The dramatization makes the movie more emotionally charged and more effective at inspiring discussion, rather than debate. Despite all of that, this is extraordinary filmmaking from a first time director, and I will certainly look forward to Ryan Coogler’s next project.